The aim of the informative study was to define the best alternative routes to develop the high speed train line between Valladolid-Burgos and Palencia Venta de Baños, which connects central and north-western Spain. The line is designed to reach maximum speeds of 350 km/h. 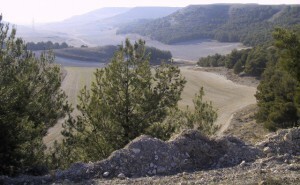 The Environmental Impact Assessment procedure lasted over 5 years and particular studies on environmental impact on Natura 2000 network were conducted at the same time as this European ecological network was designed. 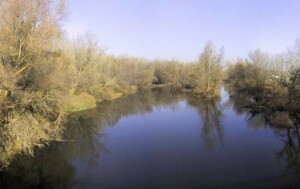 The study area is located in the middle stretch of the Duero River Basin, the railway runs between the rivers Pisuerga, Arlanza and Arlanzon, which define broad valleys, bounded on both sides by hills and plateaus. There is a breeding colony of black-crowned night heron (Nycticorax nycticorax) on the banks of the Pisuerga River while great bustard (Otis tarda), little bustard (Tetrax tetrax) and Montagu’s harrier (Circus pygargus) are common in steppe areas.